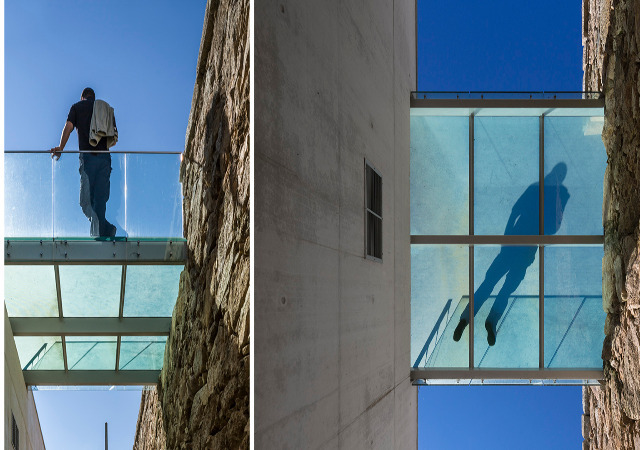 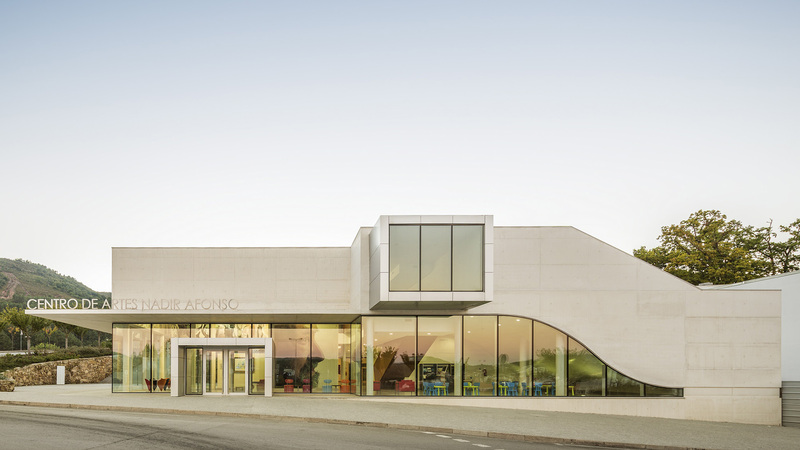 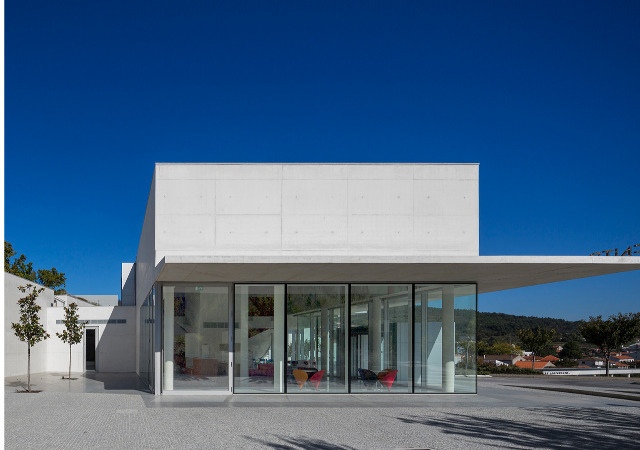 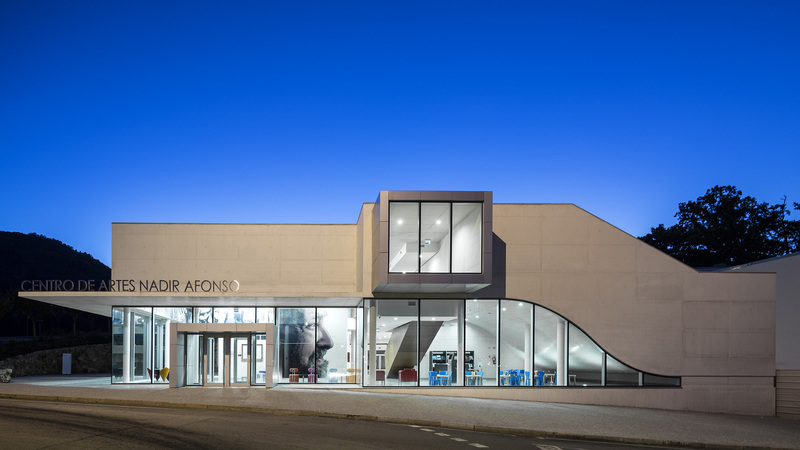 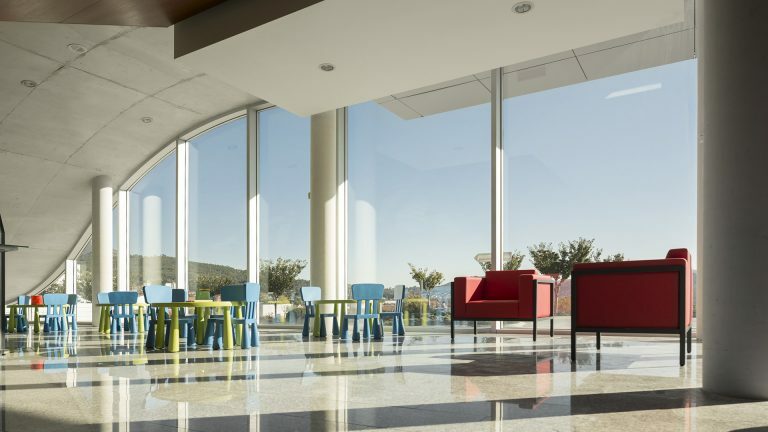 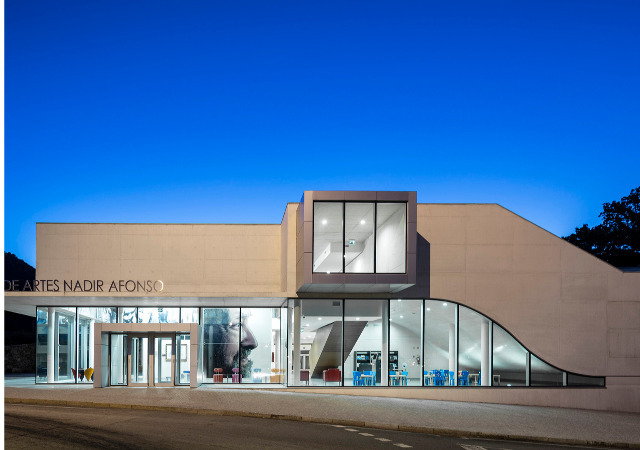 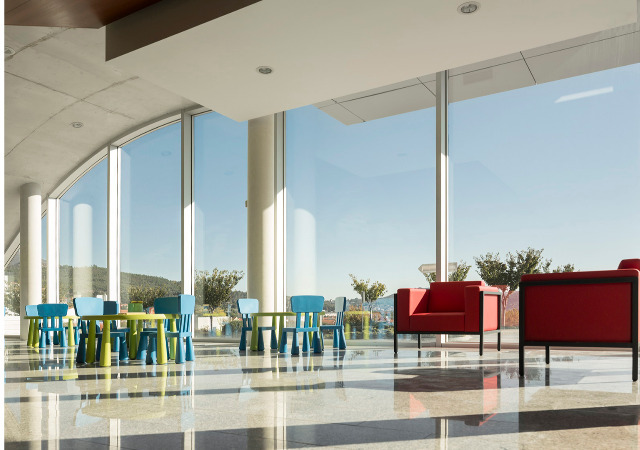 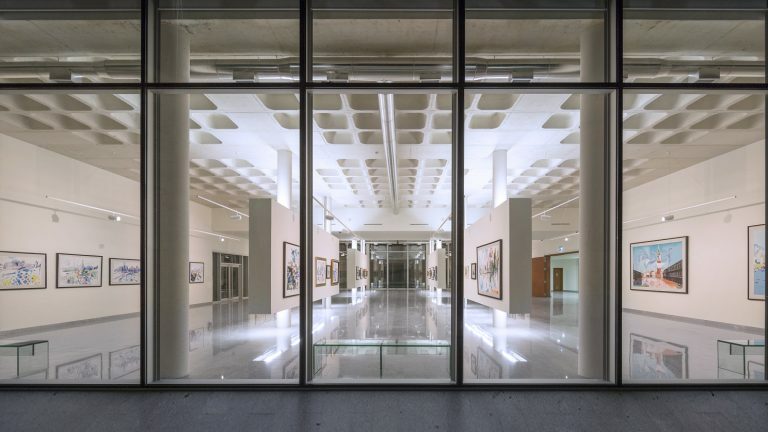 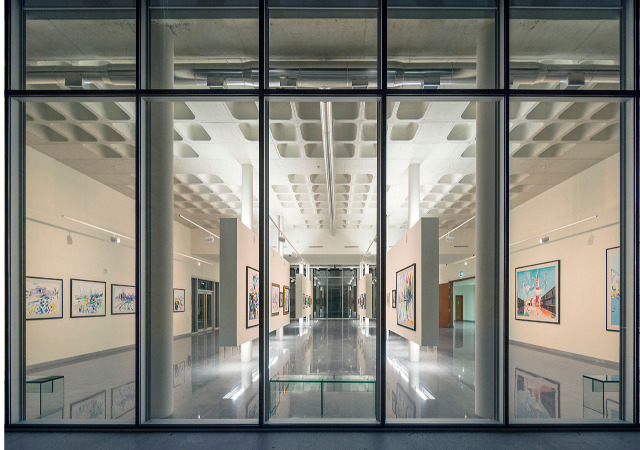 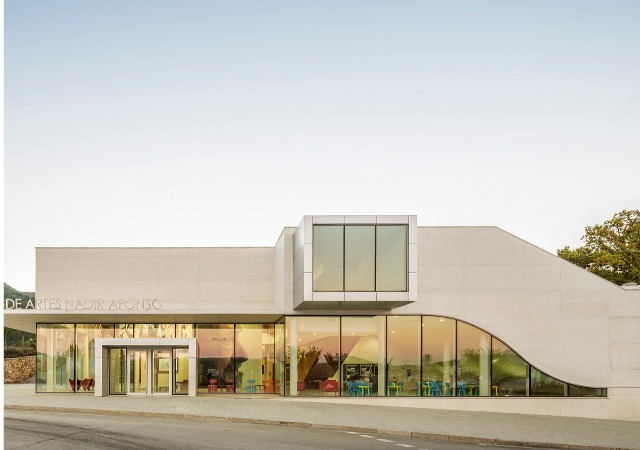 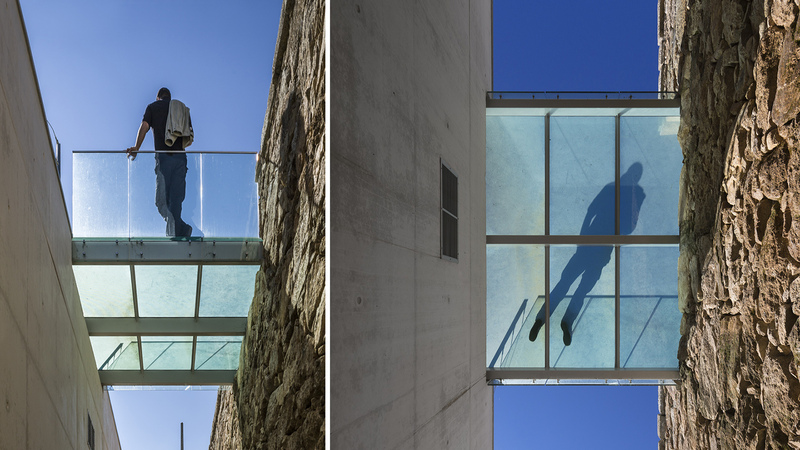 Centro de Artes Nadir Afonso, literally and figuratively breaks new ground in Portugal. 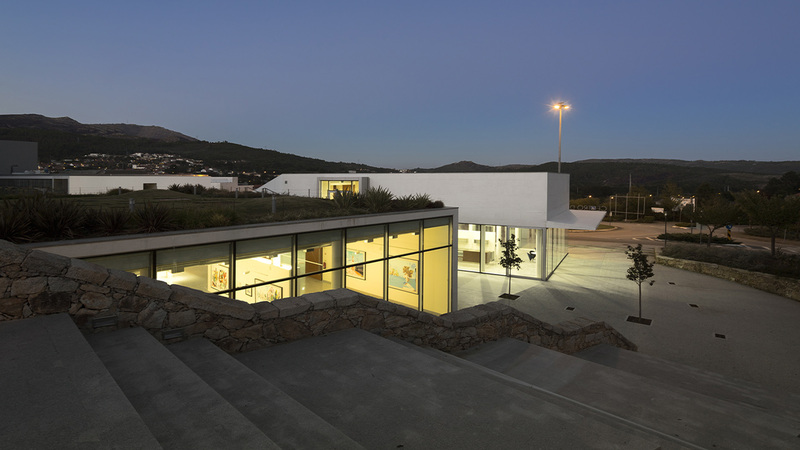 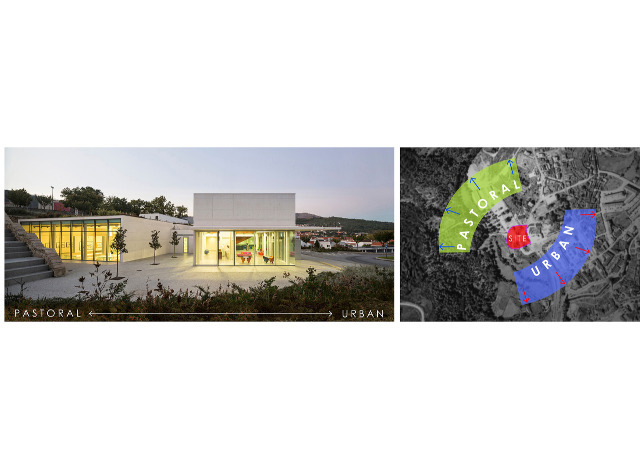 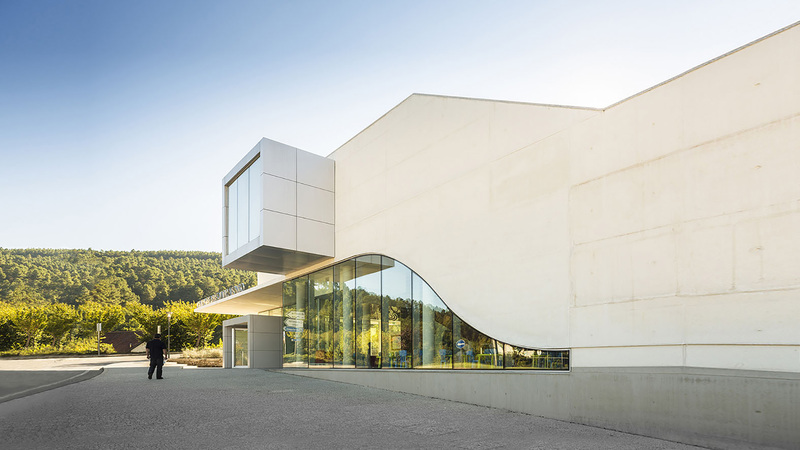 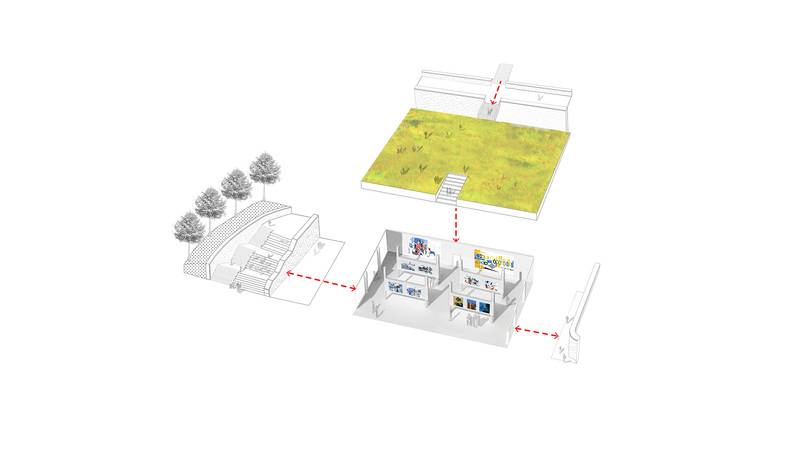 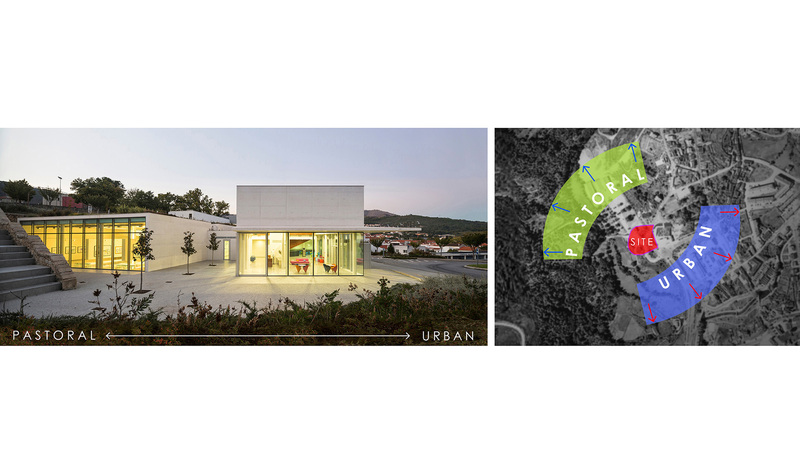 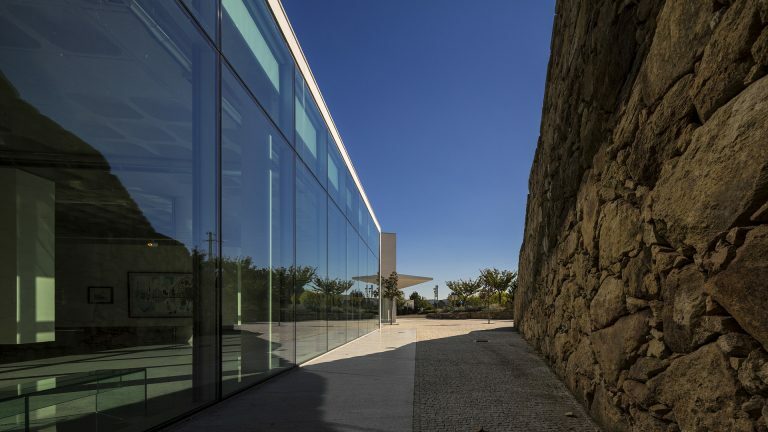 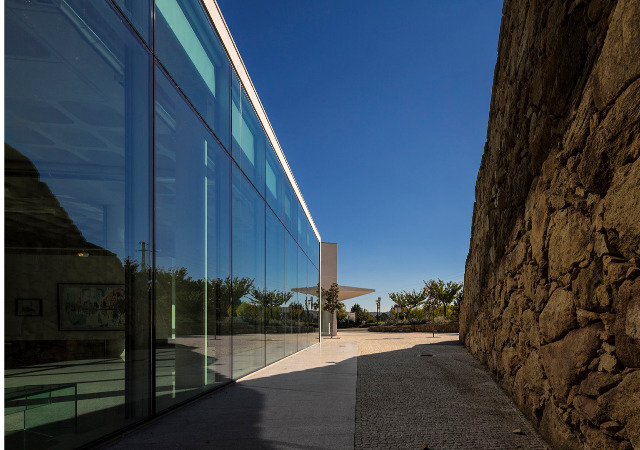 Divided into two distinct but connected parts, the new sustainable museum merges landscape and architecture into a bifurcated sustainable building consisting of an urbane cultural structure facing the newly built municipal building and a green-roof park covered below-grade exhibition hall facing the rolling hills adjacent to Boticas. 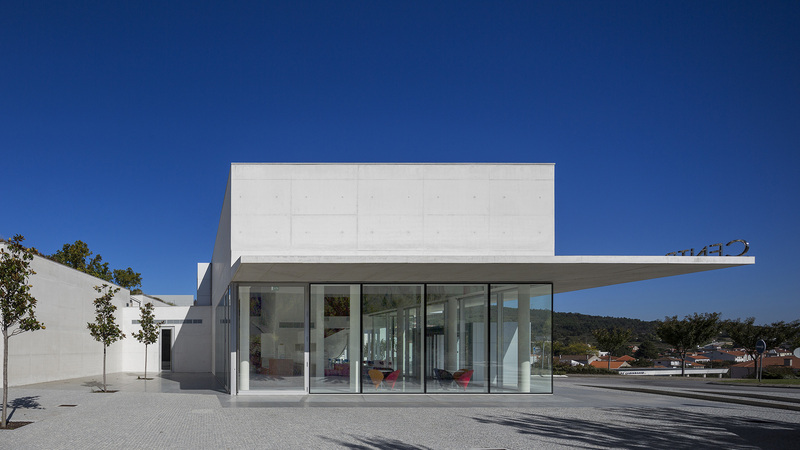 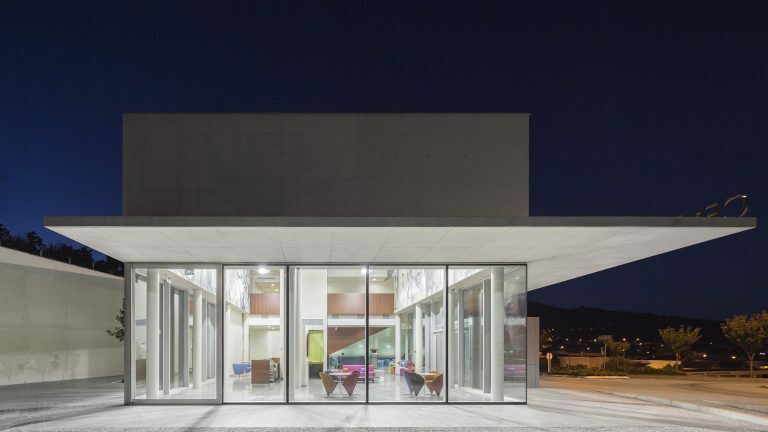 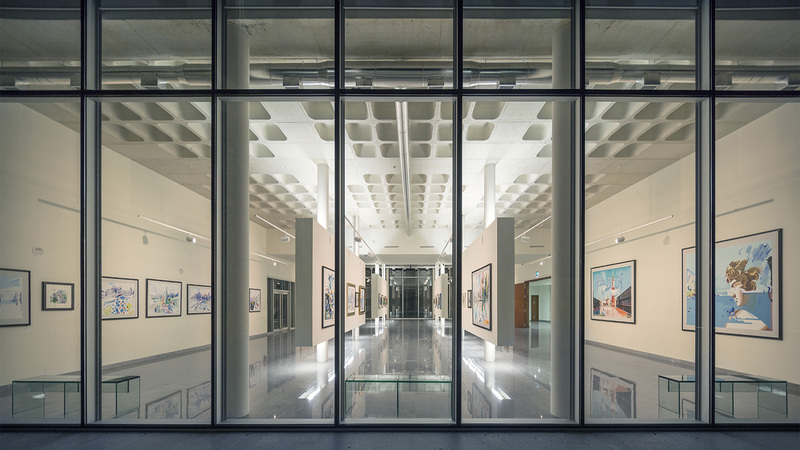 The urban face of the building includes a double height entry hall and an one hundred seat auditorium that contribute to the civic stature of this growing Portuguese town. 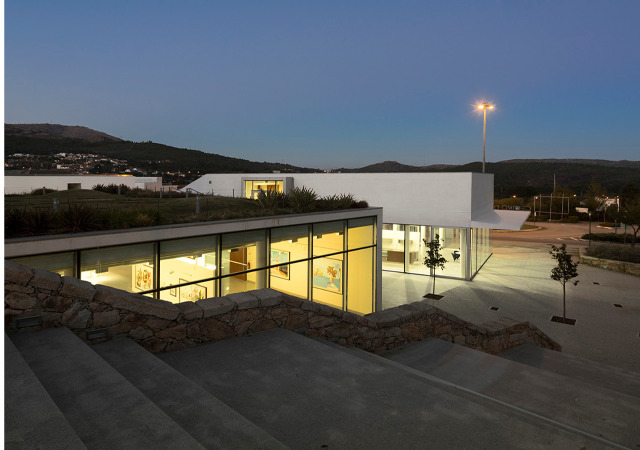 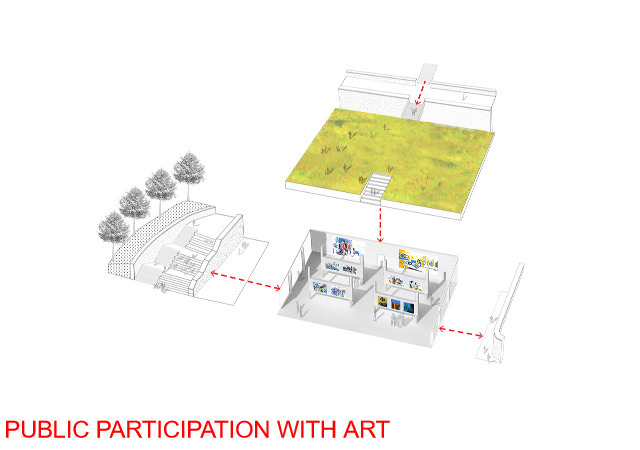 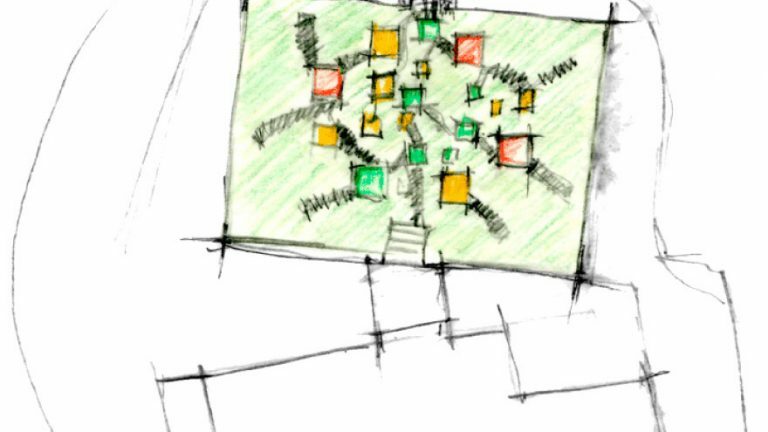 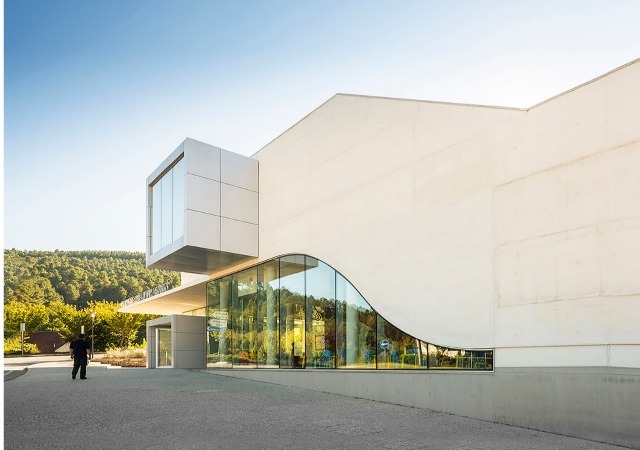 The exhibition space, embedded in the hillside and covered with a sustainable planted green roof park, functions as a connection to the more pastoral section of the town. 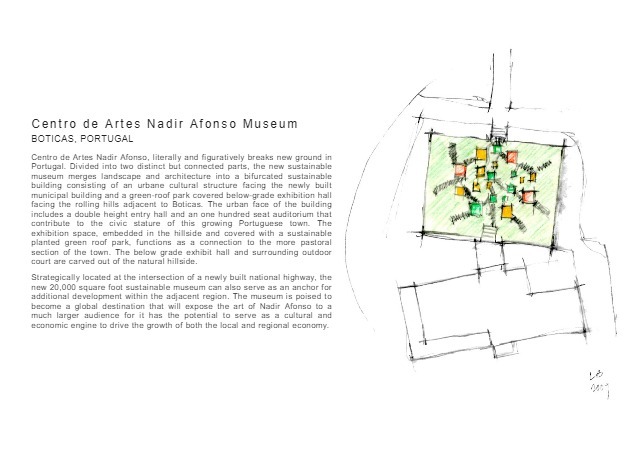 The below grade exhibit hall and surrounding outdoor court are carved out of the natural hillside. 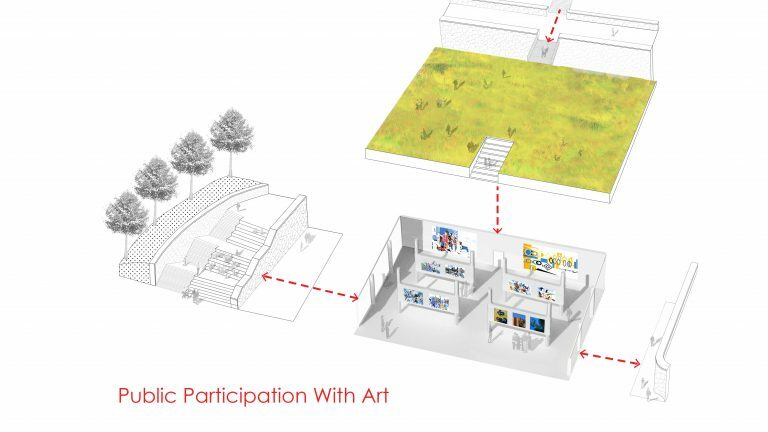 Strategically located at the intersection of a newly built national highway, the new 20,000 square foot sustainable museum can also serve as an anchor for additional development within the adjacent region. 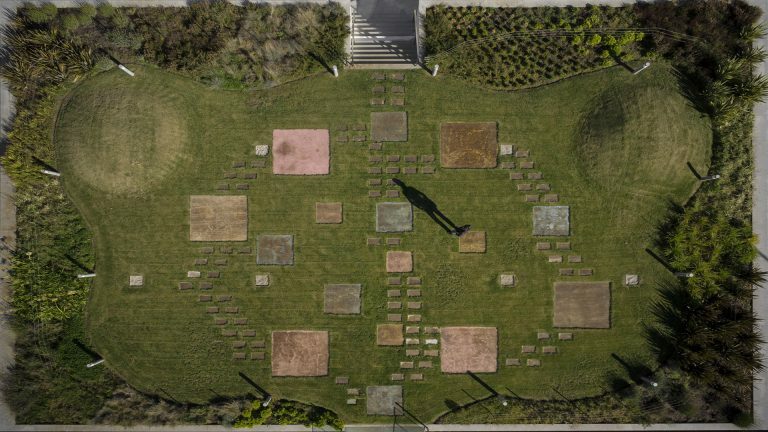 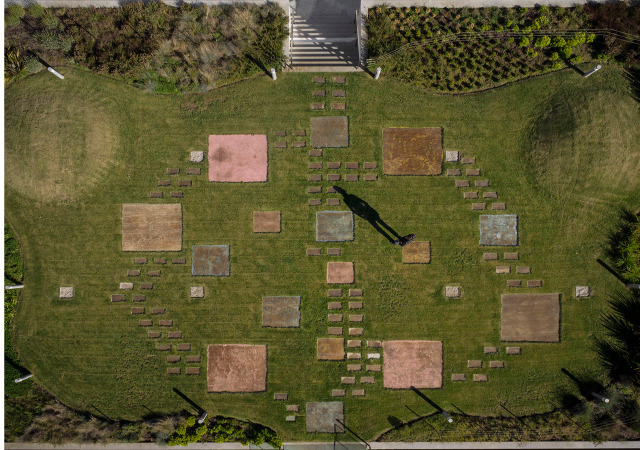 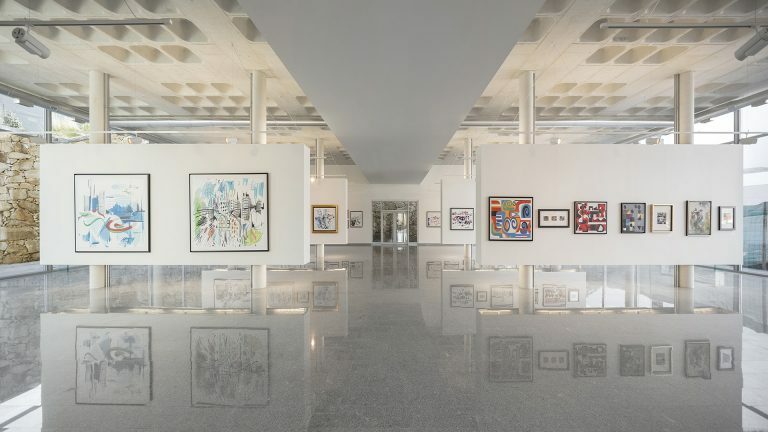 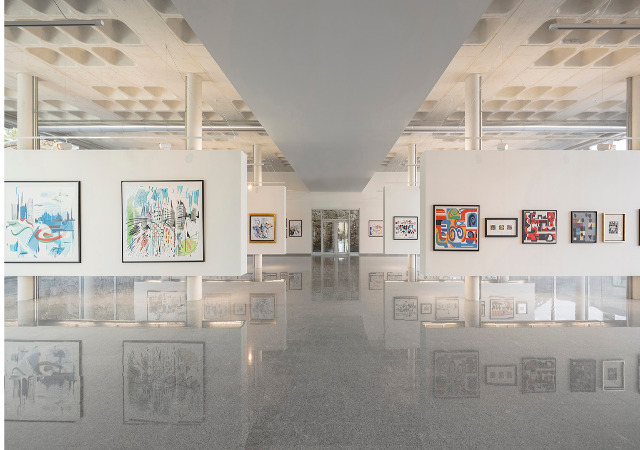 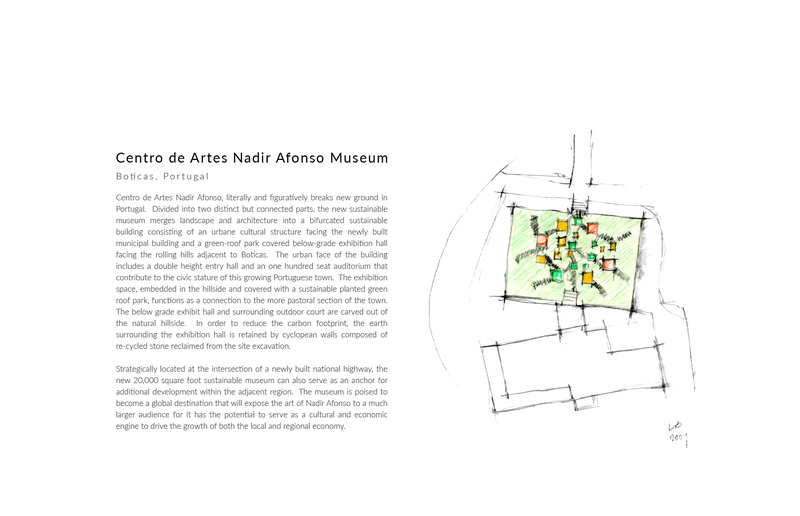 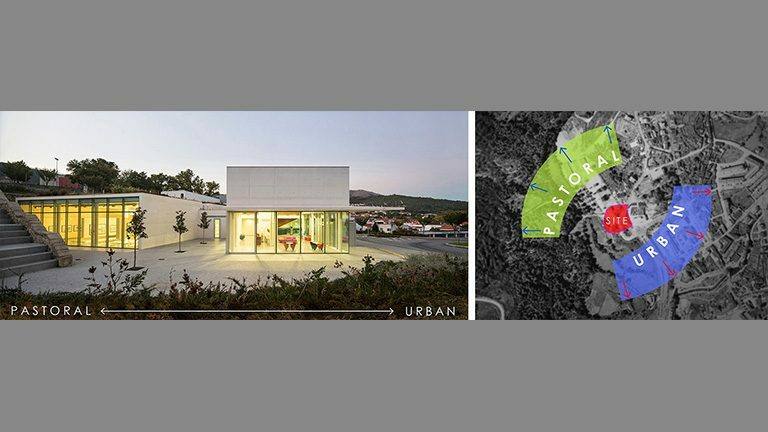 The museum is poised to become a global destination that will expose the art of Nadir Afonso to a much larger audience for it has the potential to serve as a cultural and economic engine to drive the growth of both the local and regional economy.